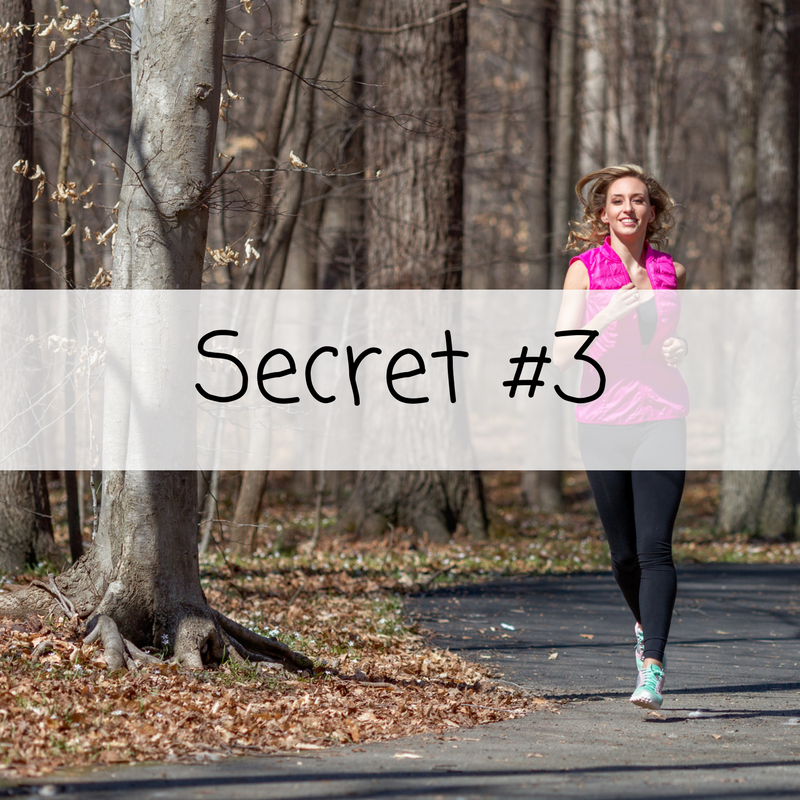 In Secret #3 we're talking all about & DOING some exercise! One thing that's extremely important when it comes healing and exercise, is intensity. It's very important to keep your workout intensity low or at least moderate, and slowly work your way to more intense workouts. Everyone is different and we all have different backgrounds & exercise tolerances. For some of you, you might already have daily workouts in place, and other may have never really workout besides mandatory PE classes in school! I can't stress enough how important it is to exercise at the RIGHT intensity for your body. For some of you this might mean that you actually need to put that ego aside and take a step back from high intensity exercise. While others might need to step it up a notch. Moving your body is extremely important, but taking it too far can cause massive stress on your body and lead you worse off than when you started. It's time to make a mindset shift to exercising for healing,and not for physical aesthetic appeal! If you have acne, then you have leaky gut. At this point your gut is probably very damaged and leaky, and your body is carrying a lot of inflammation. exercising at a low to moderate intensity will reduce inflammation, and aid in circulation which aids in healing. The best way to moderate your workout intensity is to pay close attention to your workout recovery. How do you feel 20 minutes after your workout? How do you feel 1 hour after your workout? How do you feel 3 hours after your workout? It's okay to still feel tired 20 minutes after a workout, but about an hour after your workout you should feel more energized! If you are still tired 1 hour after your workout, then you should adjust your workout intensity accordingly. Videos with some specific exercise examples are listed below, but you can find the full list along with the benefits in the ebook! Don't forget to be patient, & give your body time to heal & recover! Disclaimer: I (Harmony Patton) strongly recommend that you consult with your physician before beginning any exercise program or physical activity. You should be in good physical condition and be able to participate in the exercise before beginning. I (Harmony Patton) am not a licensed medical care provider and represent that I have no expertise in diagnosing, examining, or treating medical conditions of any kind, or in determining the effect of any specific exercise on a medical condition. You should understand that when participating in any exercise or exercise program, there is the possibility of physical injury. If you engage in this exercise or exercise program, you agree that you do so at your own risk, are voluntarily participating in these activities, assume all risk of injury to yourself, and agree to release and discharge Harmony Patton and The Paleo Ballerina from any and all claims or causes of action, known or unknown, arising out of Harmony Patton or The Paleo Ballerina's negligence.